The potential to reach the later stages at the 2018 Commonwealth Games, to be staged in Gold Coast Australia next April, Ghana’s Deek Abrefa has received a major boost in his preparation for the prestigious multi-sport event. He is one of seven athletes selected to receive a £5,000 grant from the Ghana Olympic Committee. Each sports association was requested to present the Ghana Olympic Scholarship Committee with five names, from which selection would be made. “I intend to embark on a number of training tours to up my game. 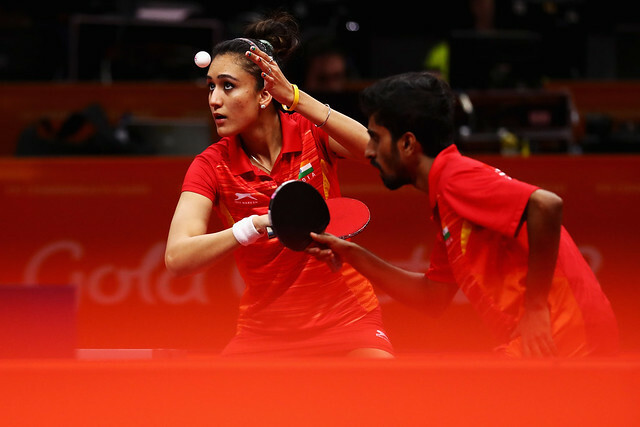 I think with this great opportunity, the best one can do as an elite sportsman is to go and train in countries where table tennis is highly developed, and has good players. My target for 2018 Commonwealth Games in Gold Coast is to improve on my current Commonwealth ranking and my World ranking at large, one of my main targets is to secure a medal for my country since I wasn’t able to do that in the previous Commonwealth Games held in Glasgow, Scotland. Administering matters is Richard Akpokavie, General Secretary of Ghana Olympic Committee.